By Pascal Yaya – Sunday April 14, 2019. Cavaye Yeguié Djibril, Speaker of Cameroon’s National Assembly. 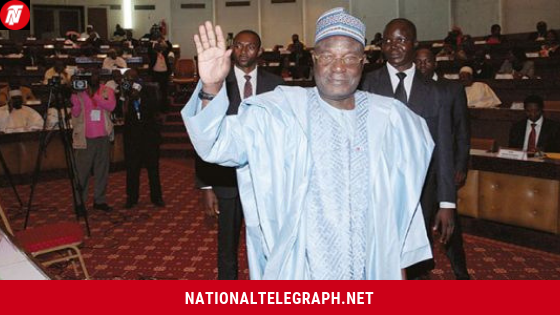 Cameroon’s Speaker of the National Assembly also known as The Lower House has awarded certificates of recognition to sixty-three (63) youths drawn from twenty-one (21) council areas in the country’s Adamawa Region, National Telegraph has been told. “This agricultural revolution can only be realized with the new generation of young farmers and breeders like you, he told the 63 youths in attendance. The idea is from a group of Parliamentarians which the Speaker led to the Adamawa Region, said a source. The ritual focused on; Agriculture, Livestock and Entrepreneurship, an official at the Region’s Governor’s office confirmed to National Telegraph. Cavaye also decorated fifteen ( 15) of the 63, during which he announced the especial decorations are from the country’s President, Paul Biya. Previous Ex-Pope Benedict XVI’s Essay On The Church And The Scandal Of Sexual Abuse Finally Translated! Next Paul Biya Only Comments On Paris Despite Another Fire Same Monday In Yaounde!